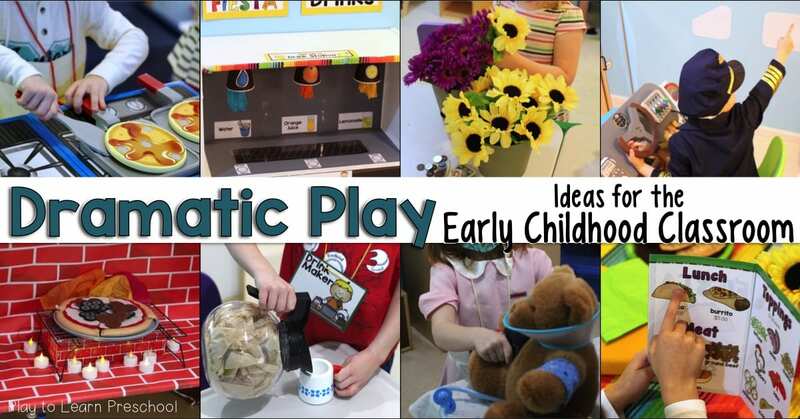 Whenever we set up a new Dramatic Play Theme in our Home Living center, it’s important that we have 1 “Centerpiece” prop… something that really makes the area enticing and special for the students. When Super-Gemma and I were setting up this Taco Stand Mexican Restaurant, she had the brilliant idea to create a Soda Fountain to dispense the drinks. You might recognize the white bookshelf that we used. It’s the same one we transformed into a double oven in our Cookie Shop and a supply shelf for our paleontology tools at the Dinosaur Dig site. Line the inside of the shelf with black or dark gray construction paper. Use duck tape to attach cups to the underside of the shelf. 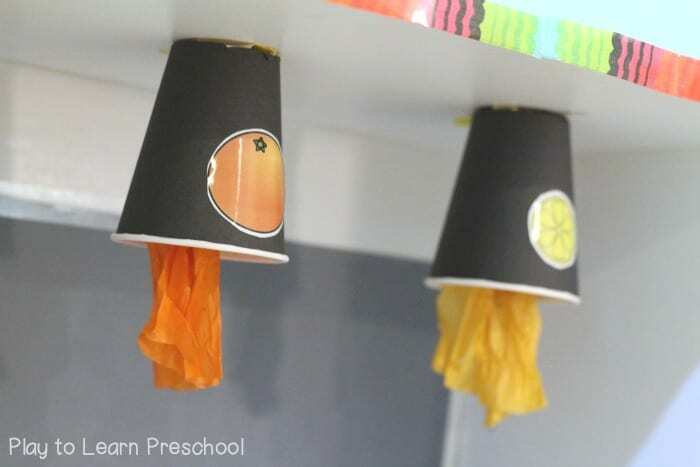 Add a small “stream” of tissue paper coming out of the cup. Label the cups and wall with the name of the beverage. We also added a “drip tray” made from black construction paper, with silver metallic sharpie lines on it. 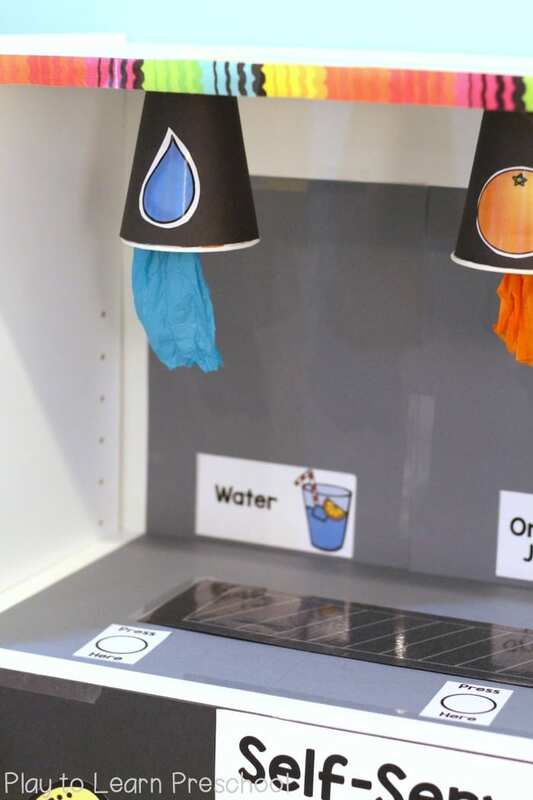 The “Press Here” button helps the preschoolers not to pull on the cups! 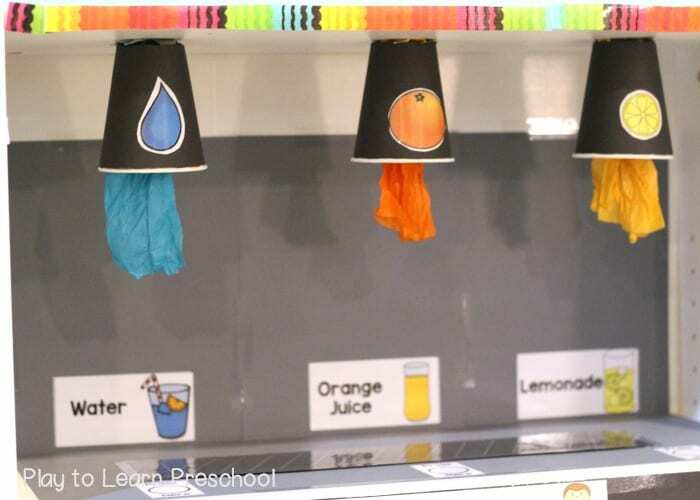 Our choices were: water (blue tissue paper), orange juice (orange paper) and lemonade (yellow tissue paper). We covered the bottom shelf with black paper and added a few festive decorations. Our students love this prop! They play in the Taco Stand for an hour every day and are really good about refilling our drinks. 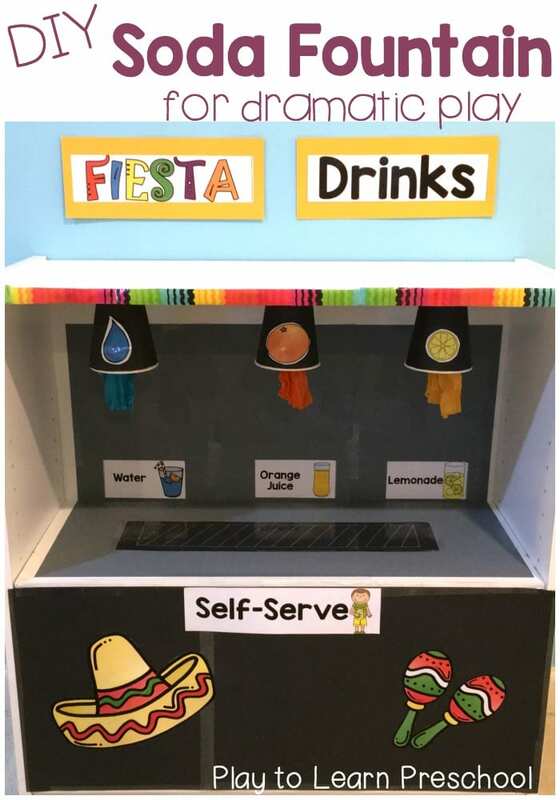 🙂 The drink machine was quick and easy to make and used just a few simple supplies that we already had on hand. 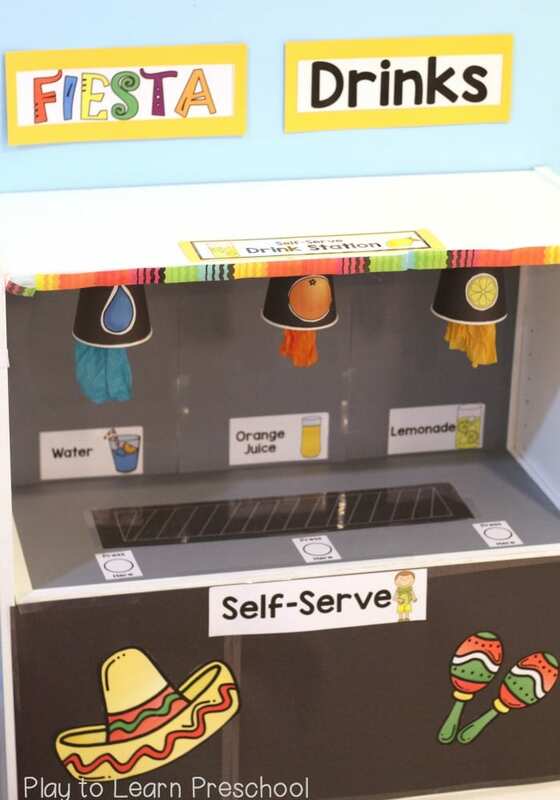 If you are setting up a restaurant, pizza parlor, or any other eatery, make one of these Drink Machines to really take the children’s play to the next level. All of the printables, labels and signs that we used in our Taco Stand are available on TpT HERE. This is such a cute idea. I am doing a sandwich shop starting on Monday that may end up having a drink machine. I think I may have a box I can use to rig up something similar. Thanks so much for sharing your creative idea.